A relaxing stay for your peaceful experience in Chennai. Enjoy a pleasant stay at Hibiscus Guest House located in the bustling part of Chennai. With its warm accommodation and homely ambience, the hotel is suitable for various leisure and business travelers. 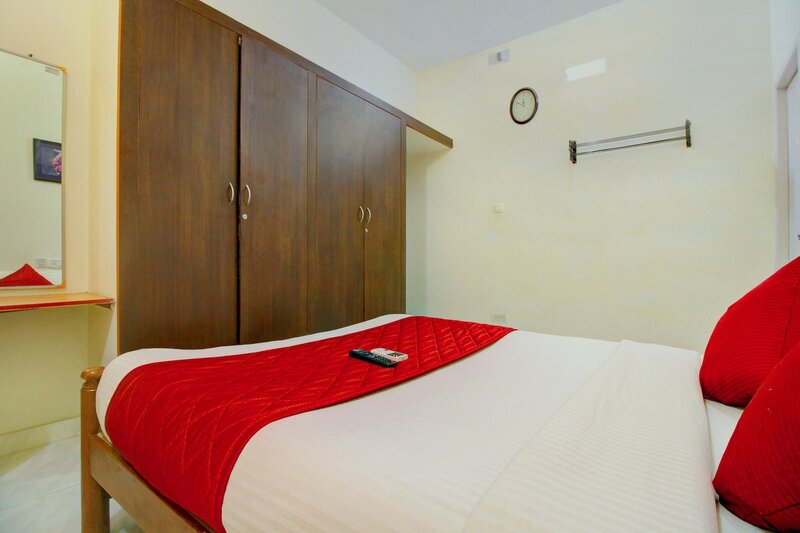 The uniquely-designed rooms are vibrant, spacious, and elegant with wooden interiors and basic modern amenities provided for a comfortable stay. The walls are done in bright colours and the sunlight streaming from the windows make the space lively and welcoming. Guests Can avail the facility of free Wi-Fi, power backup and card payment options. Hibiscus Guest House has an in-house restaurant and modern dining area that serve a variety of local delicacies. Various tourist spots like Jagannath Temple and Iskcon Temple are near the hotel.